Car washing goes by the names WashTec and Mark VII. A shiny outlook. For both you and your customers. We're your partner for every aspect of your business. Not only for state-of-the-art car wash equipment - but also for service, chemicals, ancillary products, site planning, marketing, financing and management support. As the world's largest manufacturer of vehicle wash equipment, every day we help car wash operators grow their businesses at over 35,000 locations in over 70 countries, and we've been doing it for over 50 years. Highly configurable. Built for volume. Tailored solutions for every site. No.1 in car wash systems worldwide - WashTec/Mark VII. As the North America subsidiary of WashTec AG, the world market and innovation leader in car wash technology, Mark VII Equipment Inc. supplies systems for every need and requirement, from gantry car washes to conveyor tunnel systems to self-service car washes. 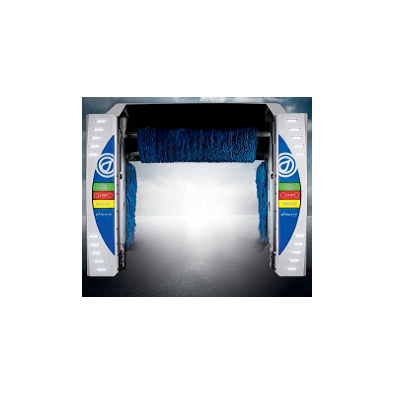 WashTec and Mark VII have over 1,700 people in more than 70 countries that are 100% dedicated to providing maximum benefit to car wash operators and their customers. Each day WashTec/Mark VII equipment washes over two million vehicles around the world, making us the market leader in the car wash industry. With direct subsidiaries in Europe, U.S.A., China and the Czech Republic, plus a network of independent distributors in more than 65 countries, we are the global car wash leader. Over 600 company direct service technicians in Europe and over 200 direct service technicians in North America are augmented by over 300 service technicians in distributor markets to keep your equipment up and running. WashTec/Mark VII got to be the global market leader by also being the leading innovator in the car wash industry. The list of innovations starts with the invention of rollover car wash systems in the 1960s and continues to this day with the development of unique technologies for conveyor tunnel systems, self-service equipment, and digital solutions for managing car wash businesses. Check out our latest innovations.